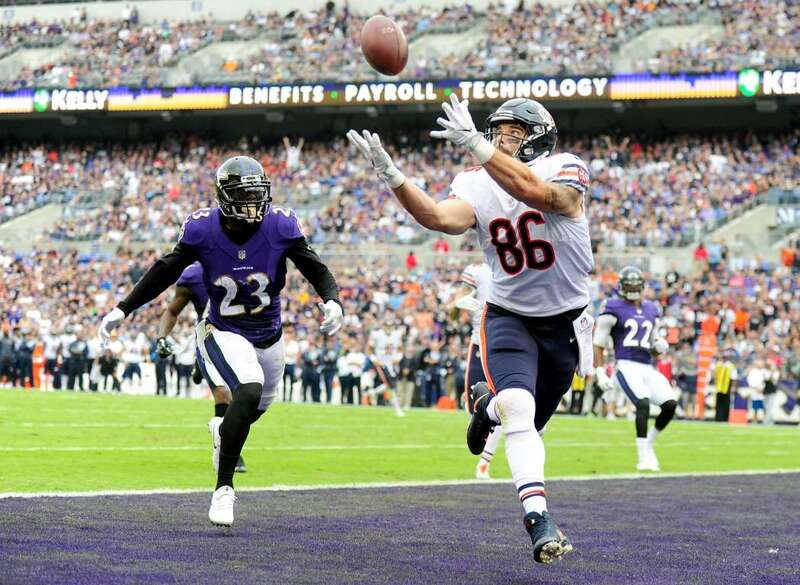 The Bears tight end Zach Miller catches a touchdown over the Ravens safety Tony Jefferson on Sunday in Baltimore, Md. The Bears won 27-24. Hauling in the pass The Bears tight end Zach Miller catches a touchdown over the Ravens safety Tony Jefferson on Sunday in Baltimore, Md. The Bears won 27-24.